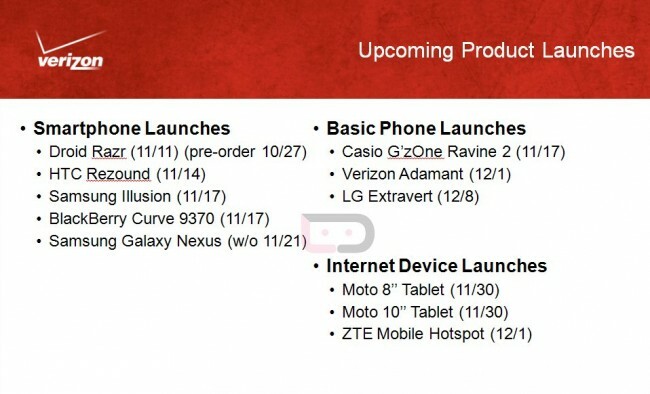 Verizon’s Samsung Galaxy Nexus launching via “web only” on November 21? According to the roadmap we just received and word from a source, that appears to be the case. Dates in the past have suggested that it may launch as earlier as November 17 to match the global release, but if you ask us, it’s pretty obvious that not even Big Red can decide when to put this phone out. And is there a chance they only allow you to order this online? The original Nexus One went live in a similar way, however, the Nexus S was at least available through Best Buy. I’d say that may still be up in the air as well. Launching on November 21 does sort of make sense though. That’s the week of Thanksgiving and Black Friday, so at least the phone would be available to those wishing to pick one up during the biggest shopping time of the year. Oh, and what about the ‘Moto 8″ Tablet’ and ‘Moto 10″ Tablet’ listed there? Those would be the two variations of the new Motorola XOOM 2 that were announced to the UK just last week. 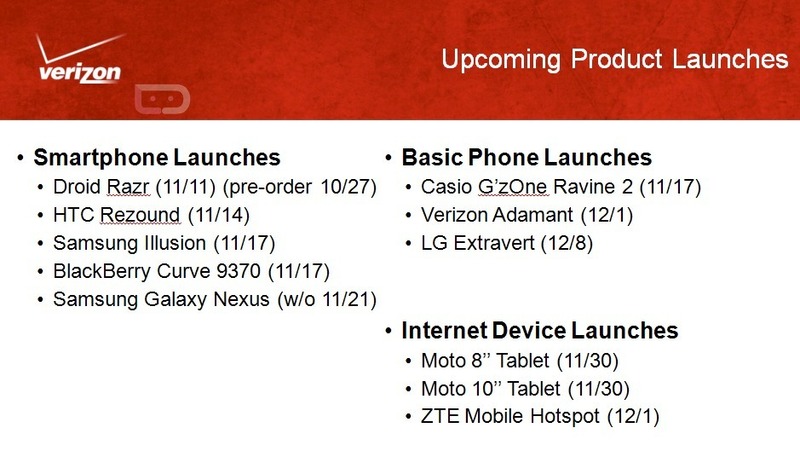 The 30th is a Wednesday and seems odd, but Verizon may be ditching that standard Thursday launch schedule that they have been on for the last few years. The Rezound is launching on a Monday after all. Verizon Gets the 32GB Galaxy Nexus, Priced $289 at Costco?